The technology in this Ledlenser MH10 600 lumen rechargeable headtorch is phenomenal. Smart Light Technology means that by using a microcontroller you can program your individual range of functions with different touch and switch combinations. That way you always have the optimal light function on hand. Ledlenser's patented Advanced Focus System (AFS) allows a seamless transition from homogeneous low beam to sharply focused high beam while a single-hand mechanism allows the light beam to be adjusted as fast as lightning. 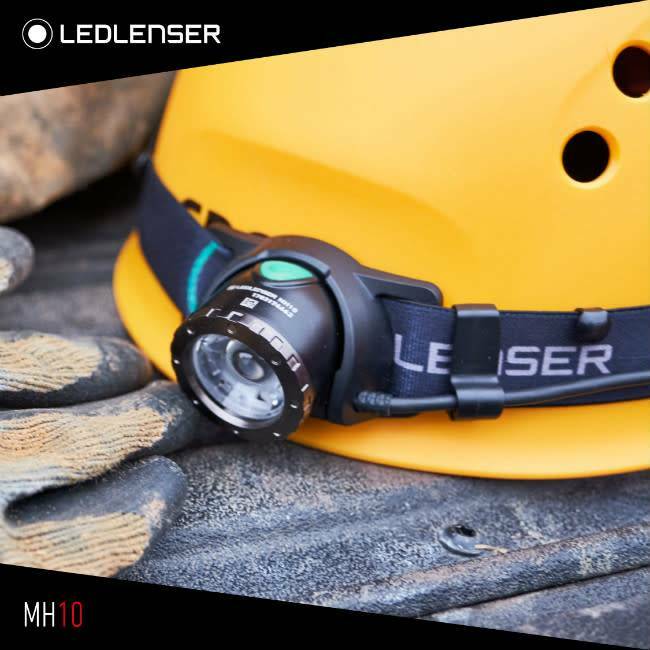 The MH10 is the lightest Ledlenser headlamp of its brightness levels, weighing in at just 158g. This and the new NEO10R have proven immensely popular with trail runners and mountain rescue personnel. 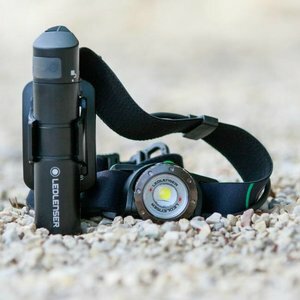 The light capacity of this torch is simply incredible. The MH10 is equipped with a single switch to the front, a red taillight as well as colour filters for various different uses, including map reading without losing your night vision. Ledlenser also provided a locking mechanism so that the MH10 won't accidentally turn on and drain your battery while sitting in your pack. It's USB 3.0 charging system offers an international standard for comfortably charging your Ledlenser MH10 and a charge indicator showing its' current status. Your MH10 headtorch will warn you if it's running low on battery, enabling you to turn down the luminosity and preserve battery life. IPX4 standard waterproof housing protects the MH10 from water splashes in any direction.